EDINBURG — The UTRGV baseball team fell to Houston Baptist 3-2 on Tuesday at UTRGV Baseball Stadium. UTRGV (10-8) scored its runs in the fifth on a two-run single by senior Ivan Estrella, who finished 2 for 3 with a walk. Junior Anthony Gomez went 2 for 4 with a double. That was all the scoring UTRGV could muster against Houston Baptist starter Marshall Heron (1-1), who pitched six innings allowing six hits and one walk while striking out three. HBU’s Hunter McClellan worked around a hit and a walk in the seventh before striking out the side in the eighth. UTRGV loaded the bases with one out in the ninth, but JT Newton struck out Estrella and got senior Austin Siener to fly out for his third save. In his first career start, UTRGV junior Ben Butler (0-1) retired eight of the first nine batters he faced. With two outs in the third, however, HBU (6-11) drew three straight walks to knock out Butler. Jake Pulcheon greeted junior and Brownsville Veterans grad Luis Acosta with a two-run single. After a Matt Heck single reloaded the bases, Jake Scott singled to put HBU up 3-0. Acosta settled down from there, retiring 13 of the remaining 15 batters he faced, striking out three. Senior George Lamb and freshman Max Balderrama Jr. each followed with one scoreless inning of relief. 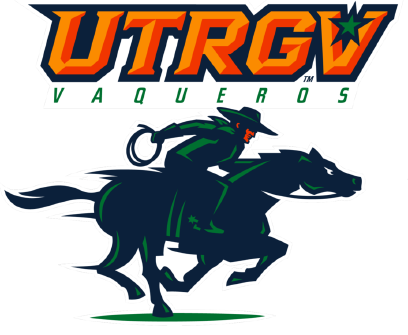 UTRGV opens up a three-game series against Eastern Michigan at 7 p.m. Friday at UTRGV Baseball Stadium. Friday will be Youth Night, meaning children 13 and under will receive free admission with the purchase of an adult ticket. The first 150 kids in attendance will receive mini foam fingers. Gates open at 6.